Singer-songwriter Christian Beach is scheduled to join us for tonight’s live webcast of Technology and the Arts at 10 p.m. EDT. Feel free to watch at technologyandthearts.com or on the Technology and the Arts YouTube channel. Mark your calendars for April 10…not only is it my wonderful girlfriend’s birthday, but my friend Christian Beach will be celebrating the recent release of his self-titled CD with a show at The Saint in Asbury Park, NJ. I will once again be part of Christian’s backing band, helping out on organ and accordion, as he performs the entire 12-song CD in tracklist order. Christian will be hitting the stage around 10 p.m. and tickets are just $10. If you are in the area and are available that night, please feel free to come to the show. If you want to get a taste of Christian’s music, visit his new web site at ChristianBeach.net or visit him on MySpace at http://www.myspace.com/christianbeach. The CD can be purchased via CDBaby.com or iTunes. NOTE: This post was originally published on Brian Kelley’s Tandem With the Random blog on February 4, 2009. It’s finally here…the self-titled, solo CD from my good friend, singer-songwriter Christian Beach! 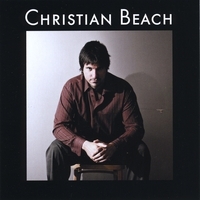 “Christian Beach” is now available for sale at CDBaby.com, where you can also listen to 30-second samples of each of the album’s 12 tracks. And here’s a fun fact for you: I designed the CD artwork around a photo by Charlie Pranio, which means I just did layout and selected an appropriate font. In this installment of the Technology and the Arts podcast, we share some interesting news, web sites and online resources we have come across recently, including the Trons, a robot band out of New Zealand, and the immense visual treat that is “The Wall” at Philadelphia’s new Comcast Center skyscraper. Plus, we discuss the latest cinematic gem from Pixar, “Wall-E”…and more! Hosts: Brian Kelley and John LeMasney. File size: 7 MB. Time: 14 min, 4 sec. Lifestream.fm profiles for John and Brian! This is another solo podcast for Brian…John was off yet again this week, as he and his wife recently welcomed their second son into the world (but do listen for cameos from John near the end of the podcast). John has announced his plans to return to the podcast…listen for details! Brian updated some information regarding upcoming shows by (and with) his friend, singer-songwriter Christian Beach (see videos below). Check out Brian’s YouTube playlist of all Christian Beach live videos. Also, check out www.sundayjams.info on July 13 for a special live webcast featuring Christian Beach & Friends (time TBD…check back here later). BBC One will broadcast the fourth season (or series, for those in the UK) finale of “Doctor Who” this Saturday, July 5…here is a teaser for the episode. Congratulations to Rider’s own Jason Thompson for getting selected by the Sacramento Kings with the 12th pick of the 2008 NBA Draft. Good luck, Jason! Check out The Trons, a New Zealand-based, self-playing robot band. Watch The Trons in action (YouTube), and read about them here (Access Atlanta) and here (Under the Radar). The latest film from Pixar, Wall-E, is another classic…go see it! The huge, video wall (pictured above, courtesy of Engadget) in the lobby of Philadelphia’s tallest building, the new Comcast Center, is a sight to behold. 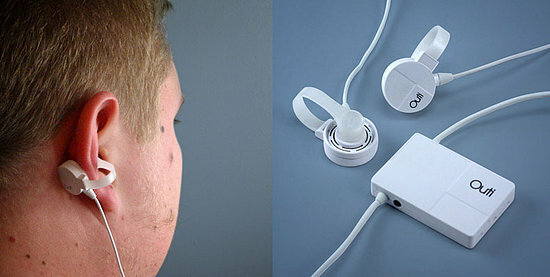 Read about it here (Engadget) and here (Philly.com)…and watch the YouTube video (and make sure you click on “watch in high quality” when you do). A couple of Christian Beach videos for you, featuring Brian on organ (top video) and on accordion (bottom video). In this installment of the Technology and the Arts podcast, we share some thoughts on Metallica’s latest Internet controversy, the BBC’s plans to create an online archive of its entire 81 years of existence and Viacom’s move to put episodes of The Daily Show and The Colbert Report on Hulu.com. Plus, we discuss independent music label collective Merlin and its emergence as a virtual fifth major label…and more! Hosts: Brian Kelley and John LeMasney. File size: 13 MB. Time: 26 min., 20 sec. File size: 6 MB. Time: 11 min., 37 sec. NEW! Lifestream.fm profiles for John and Brian!